There is a saying “Do no judge a book by its cover”. However, how else can we judge it without spending half of our life hunting in bookshops? Indeed, the first thing that attracts reader is a book cover. Covering a book with a powerful design is essential if you want your book to be read and sold. 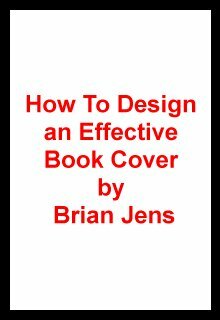 The main task of the book cover is to persuade the reader to buy it. Therefore, the task laid before a cover is to catch one’s eye and be attractive. Cover can make it or break it! Without a clean and accurate design, even the most brilliant authors may not get noticed. Due to the entertainment part being the most significant in modern culture, one has to treat the issue of a book cover as seriously as the written story. Genre markers have been used for a long time so the reader would know what kind of book s/he is looking at from a single glance. Those markers may include artwork, fonts, style, layout etc. Genre markers is an effective tool to communicate the general idea of the book to the future reader. However, it may be a reason why a book would be instantly put aside by the reader who does not like a genre he sees on the cover. Yes, while putting genre markers on the cover is not mandatory, it makes reader’s life easier. These are the means used to make it easier for the reader to choose a book of his liking. Despite that, a cover that intrigues the reader has a combination of both: genre marker and some unique item that draws attention. Such genre markers tend to turn into long-lasting trends. Remember the typical cover of a romance novel? A couple of a toned man and curvy woman hugging each other? Yup, such “clinch” covers have been around for ages and it still keeps the ground. Why? Because it sells. Same may be said about a mystery. A cover with dark background and a silhouette of a person is a classic mystery or horror, whereas a cover with a simple background and large letters in red or black color is probably a thriller. Seeing those markers all the time, we have accustomed to them. It is the usual thing for Young Adult novels. Those handwritten fonts are supposed to make the prospect reader feel the romantic atmosphere in the book. It refers to the youth and naivety of the main characters that discover themselves through experiencing life. A prominent feature for novels about a strong female character that overcomes obstacles and faces challenges. Sometimes photo images or hand lettering font is not enough to give out the character of the book. In that case marketing team goes for creating a unique image that will reflect book’s idea clearly. Popular element in Adult Fiction section. Parts of garment tell the reader that such story deals with woman to man relationship. However, trends are just trends. Book needs to have a unique cover that totally represents it to the reader. Because the cover is an essential part of marketing strategy that will turn your book into a successful product. If you doubt your ability in creating a cover – turn to professionals. Sometimes authors are better with words than images. Brian Jens – blogger and designer from DesignContest. This guy knows all about books and how to promote them.